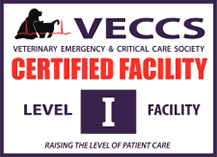 Welcome to our Referring Veterinarian Webchat Page. This feature is exclusively for use by family veterinarians to contact the client care staff at Charleston Veterinary Referral Center. It can be used to relay messages, facilitate a referral, or for a general question. If you would like to speak with on of our veterinarians, please contact us via phone at (843) 614-8387. A webchat widget will appear at the bottom right of the screen. Please click on it to institute a webchat session. Webchat is available Monday through Sunday from 9a-6pm.